Staying connected while you travel, especially internationally, is no longer something that’s just “nice to have.” The habits of looking up a restaurant, getting directions, messaging friends or family members, and backing up your photos are a part of everyday life, and you probably don’t want to surrender that convenience when you travel outside the country. Fortunately, your ability to stay in touch rather cheaply is better than ever. But what you get for your money, especially from U.S. carriers, isn’t always straightforward. American wireless travel plans are sometimes labyrinthian in their approach. Picking up a SIM card overseas is also an option, but that comes with its own set of caveats and legwork. 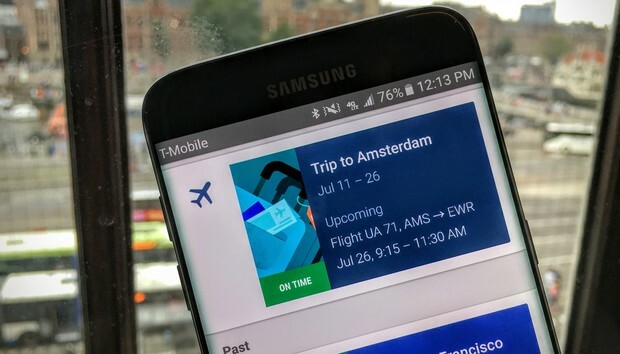 Here’s how to get relatively cheap mobile data access for your next trip, which will ensure that you can quickly find a cafe, a late-night drink, or maybe a Pokemon or two. The most hassle-free method is to add on an international plan from your own wireless provider. All four major carriers offer a dedicated site that tells you more about their international coverage options, so check in directly with Verizon, AT&T, T-Mobile, and Sprint for their current offers and restrictions. Some carriers even treat Mexico and Canada the same as if you’re in the U.S., so you don’t have to change a thing. T-Mobile is one of many carriers that you can take with you on your travels. Your plan may also have some international perks built in. For example, Verizon lets you buy a TravelPass, where you can get mobile data and phone coverage one day at a time. T-Mobile typically is among the most generous, with a steady stream of promotions that provide either basic slow-speed service for free, or a full slate of 4G connectivity for a little bit extra added to your bill. There’s an upside if you’re an AT&T customer, as you can use Wi-Fi calling if you have a Galaxy S7/S7 Edge, S6 Active, LG G4, and LG K10. Check back with AT&T before your trip to see if your phone has joined the party. T-Mobile supports Wi-Fi calling on most modern phones, too. Staying in touch with friends and family back home is one of the best reasons to get some type of data connection for your smartphone. Some carriers limit the number of SMS/MMS messages you send, or charge for each one. This makes travel the best time to go with an over-the-top messaging service. WhatsApp, Facebook Messenger, Hangouts, and others are all popular choices. WhatsApp, Hangouts, and Messenger (left to right) are among the most popular messaging apps for Android. This way you’re able to stay in touch if you’re going the Wi-Fi only route and not adding on any type of travel plan or just don’t want to burn through a lot of text messages. Plus, these apps give you a lot of benefits that traditional SMS doesn’t have, such as read receipts and the ability to handle images at higher resolution. Another method to get cheap and easy coverage is to put another SIM card in your phone when you reach your destination. First things first: your phone will need to be unlocked. If you’re not sure if it is, you can contact your carrier and ask them to unlock the device for you. Most even automate the process so you don’t have to get quizzed about why you’d want to do this. If you’re not sure the status of your phone, a good tool to use is imei.info. Type in your IMEI number to get the status of whether your device is locked or not. You can get the IMEI number from settings > system > about device > imei information. This may vary slightly depending on your device's interface. Or you can just put in another carrier’s SIM card before you ever leave. If your phone doesn’t recognize it and is unable to initiate service, it’s likely locked. SIM cards can be obtained in a couple of ways. You can pick one up at the airport, as major carriers are happy to set you up when you arrive. For example, Vodafone offers a take-anywhere card that works throughout multiple counties in Europe. Another alternative: make arrangements before you go. As an example, you can pre-order an O2 SIM card and have it shipped to you before your trip. Options are aplenty, and sometimes you’ll even get a deal if you’re buying a pair. You’ve probably been playing plenty of Pokemon Go, so your search-and-find skills must be pretty sharp by now. Put that to use to find Wi-Fi networks. This observation is purely anecdotal, but there’s a good chance that wherever you’re headed is likely to be stocked with plenty of cafes and open spaces with Wi-Fi sponsored by the city or a major company. Be on the lookout for free hot spots. If you’re planning to rely on such hot spots, keep in mind that you may have to repeatedly sign in to networks as you access them. This is a pain, but a necessary evil of getting gratis wireless connectivity. And avoid a critical meeting over an unknown Wi-Fi network if you can, as hotels, cafes, and other venues don’t always provide the best bandwidth. Another tip: don’t rely on airline Wi-Fi if you must get online for a business meeting or other purpose. During a recent flight my United Wi-Fi was extremely sketchy. A flight attendent had mercy on me and let me work from the first class food service cabin, which turned out to have better connectivity. The Internet was stronger on a second flight I took, but after chatting with a few others on the flight and some staff I found that Wi-Fi strength is a common complaint. The technology clearly has some ways to go. If you’re willing to get a little creative, it’s pretty easy to communicate with people back home for free. Skype-to-Skype calls are always free, which can be done over a mobile connection or through Wi-Fi. Facebook Messenger offers voice and video calls, which should put you in touch with plenty of people given that the social network has over a billion people connected to its service. Facebook Messenger is one way to make free calls over Wi-Fi. And if you glance at people’s screens when you leave the country, you’ll find the majority of them use WhatsApp (also owned by Facebook). Hangouts is still around, soon to be usurped in potential with Google’s Allo and Duo. The options are plenty, you just need to choose what works best for your contacts. It’s best to keep tabs on whatever plan you opt for during your journey. Get the official app from your carrier, or find out how to check in with your data caps if you opt for a temporary SIM. Nothing’s worse than ending up without service when you need it most, or overcharged for blowing past some arbitrary data limit. You don’t want a sad little frog (from Google’s weather tool) because you don’t have a data connection. Staying connected still isn’t as smooth as it could be. We’d love to see more U.S. carriers simplify their rates and reduce costs for international travel. It’s a mobile world, and our ability to stay connected ought to reflect that.